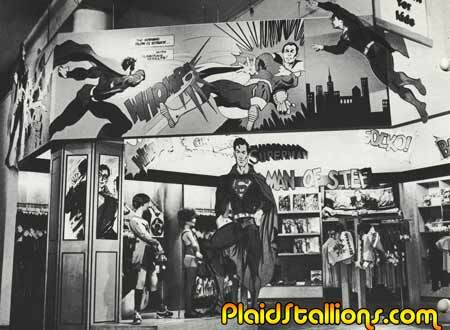 While multi million dollar Superhero movies are commonplace today and rarely fail at the box office, in 1979, Superman the Movie was kind of new, untested thing. 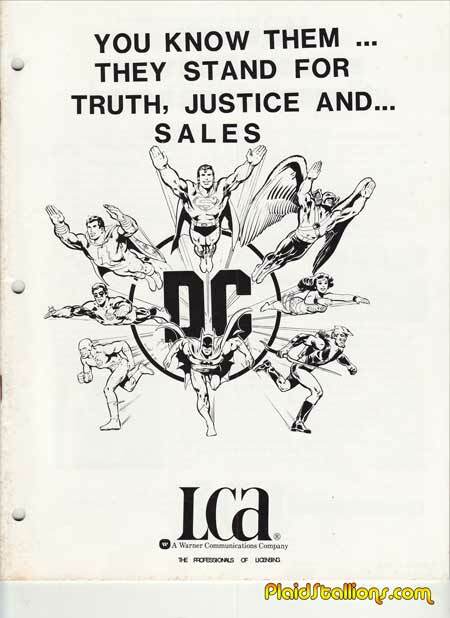 At the time, the DC comics heroes were represented by licensing corporation of America (LCA) and their job is to sell the Superhero license to manufacturers. 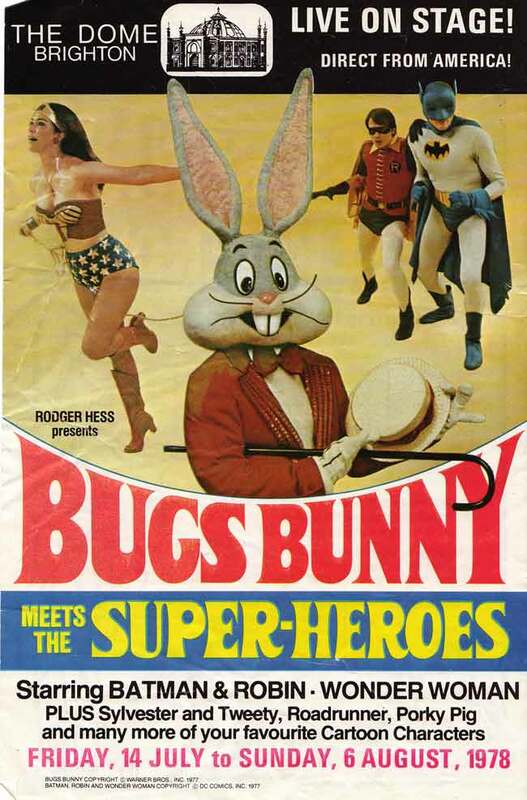 This rare 1979 booklet painstakingly shows the impact that the DC comics characters had on pop culture in the 1970s and is a really fun window into the late 1970s. 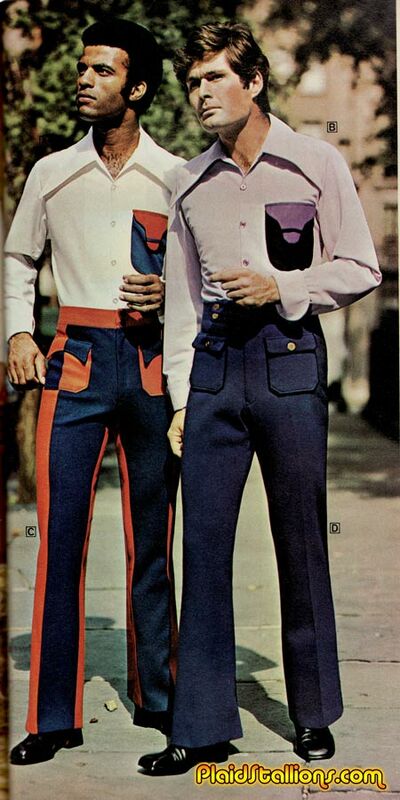 Gary and Alfonse made the lawn mowers run on time, if you know what I'm saying. 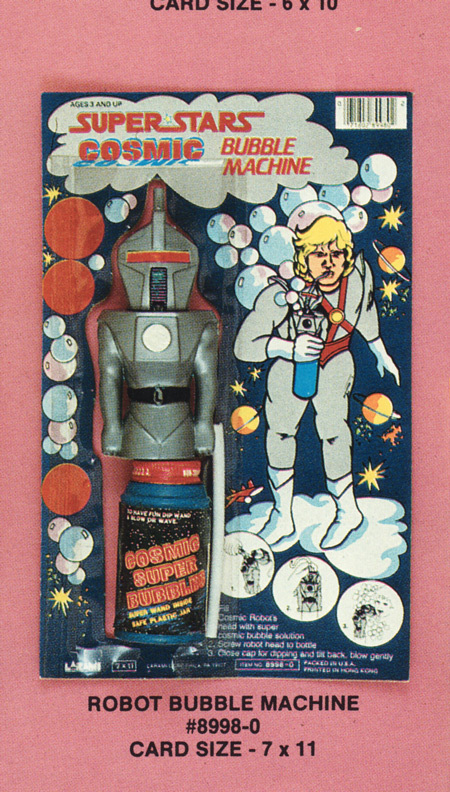 This toy surfaced exactly one year after the cancellation of Battlestar Galactica, as conincedence may have it Larami used to hold that license. What an incredibly random thing to happen. As a side note, it is impossible to look at all imposing blowing bubbles. Check out our upcoming book! 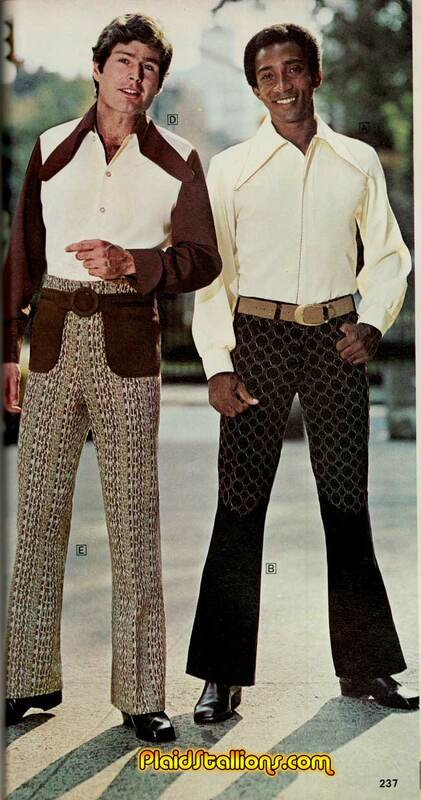 Nothing says "Creepy Uncle" and "Hey, has your friend tried wine?" more than Mantique. I have to admit, I was excited when I found scans of this book over at (sponsor) Sherryloutoys website. Mostly because it was free but also because Marvel's "Shogun Warriors" comic usually took my 35 cents if there wasn't a new issue of "Star Wars" or "Micronauts" on the rack. I was always a fan of that book even into adulthood, so I'm assuming that Whitman probably aped Marvel and produced a fun book. Sounds like a safe bet right? Batman & Robin appearing in your town! 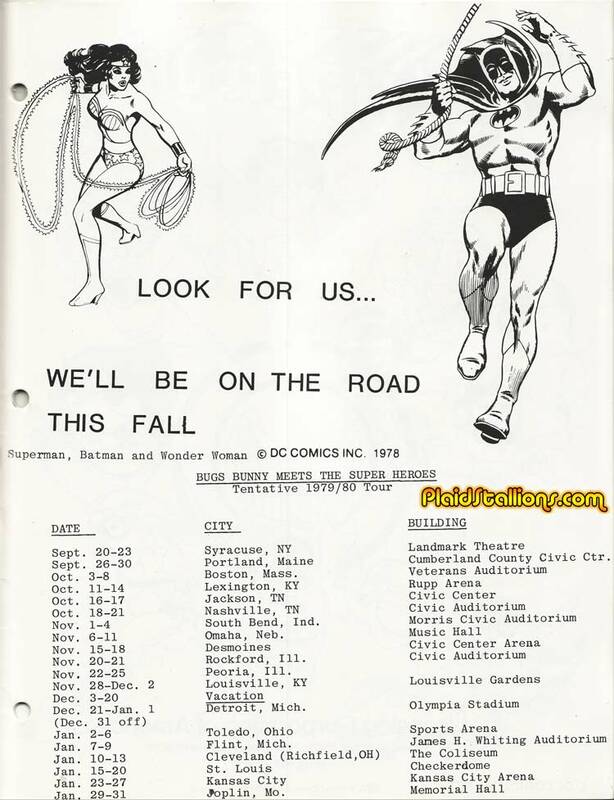 Found a pretty neat piece of DC comics history that I'm working on for the site but I couldn't resist teasing this little of awesome, a touring schedule for infamous 70s road show "Bugs Bunny meets the Superheroes" which also featured Wonder Woman! If you were lucky enough to see this back then and have photos/insight. I want to hear from you! The 1979 release of "The Lord of the Rings" movie was a highly anticipated event by fans and toy companies, hoping to find a fantasy film franchise as lucrative as Star Wars had been. 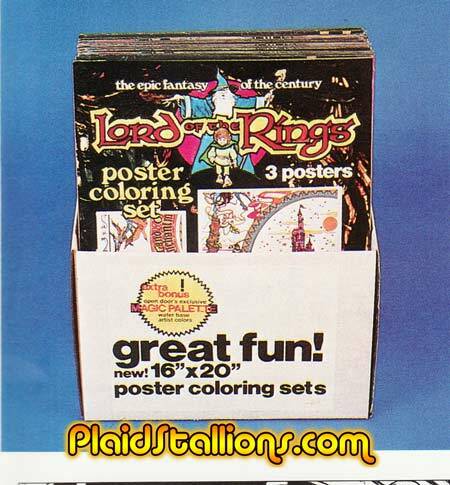 Lord of the Rings was a box office hit but it didn't equate to much by the way of merchandise. 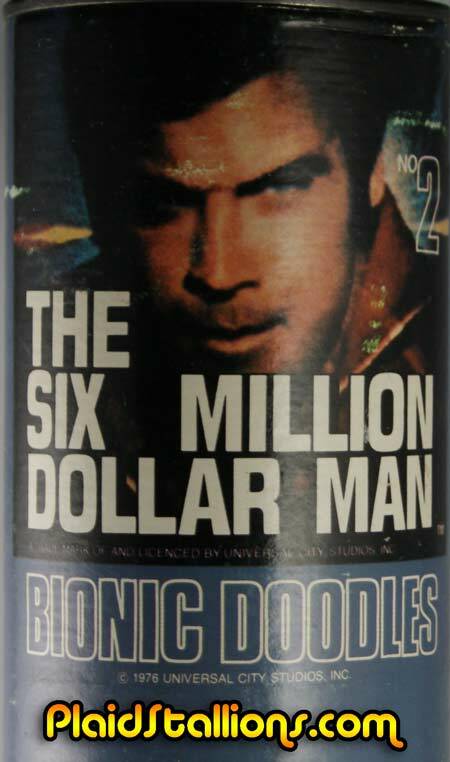 One of the few licensors was a company called Open Door Enterprises, who produced a number of craft sets tied into the film. 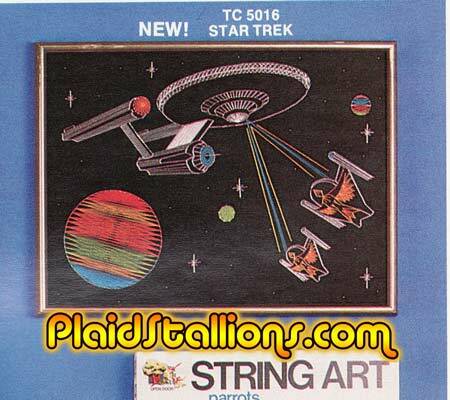 In addition to poster art sets, Open Door offered playsets, school folders and more. Did this stuff see release? I'm not absolutely certain. 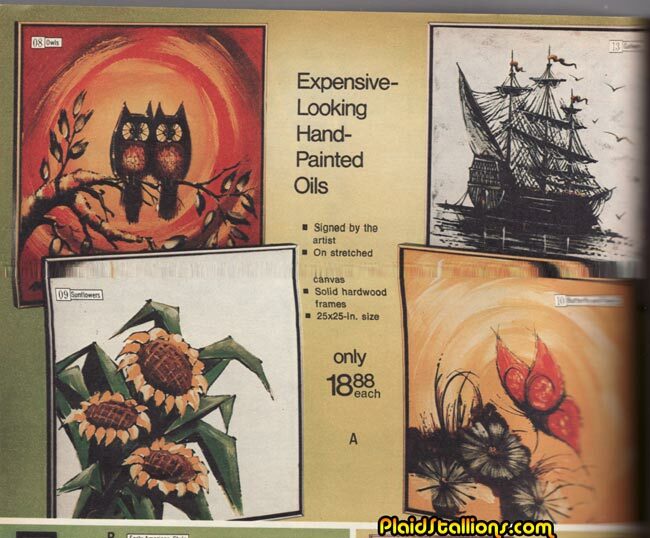 Check out the 1979 Open Door Lord of the Rings Catalog here. 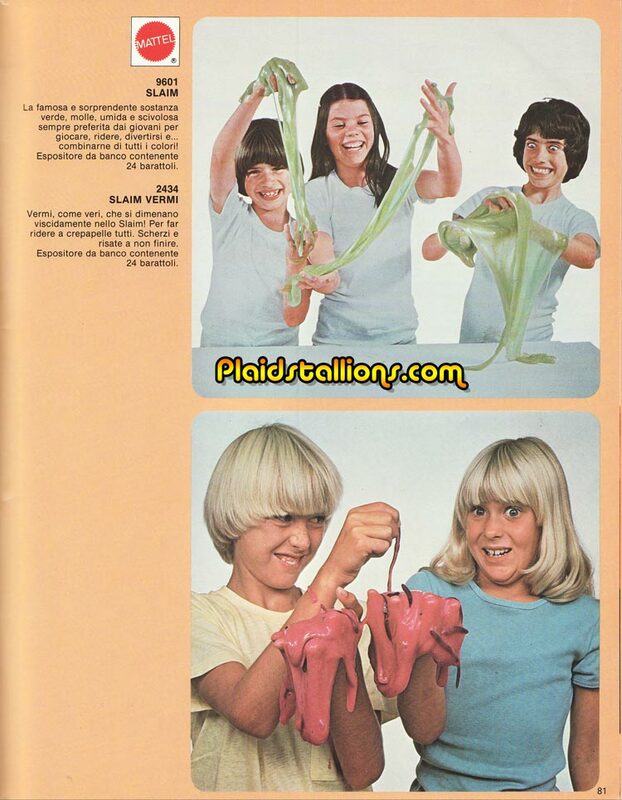 My world wide fascination with the world wide marketing of Mattel's Slime continues and this time we are at looking at Italy. Where it was called...Slaim, guess what that means? It's cool, not as cool as what they called it in Spain but hey, what are you gonna do? As kitsch as those owls are, there is something about them that brings me some sort of comfort and as a side bonus, people will think I'm a fancy millionaire who paid a lot of money for them. One of the things I noticed working on Rack Toys is how much Batman stuff there is out there, not even just the caped crusader but his rogues gallery got more merchandise than Superman in the 1970s. 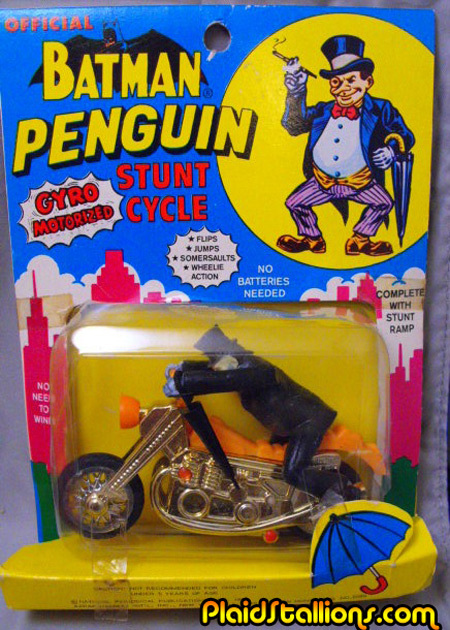 Case in point this Penguin stunt cycle, which probably sold the slowest of the bunch. There is something so ridiculous about the character on a chopper, even more so than Doctor Zaius. His commanding officer is Captain Crunch. Recently at a toy show I found this fun tube, the dealer said to me "I've never seen one of those before, apparently it's a Canada only thing" Seeing as he didn't want very much for it, I picked it up and have since, not been able to find much information on it. It is however, a terribly fun item, more pics after the jump. 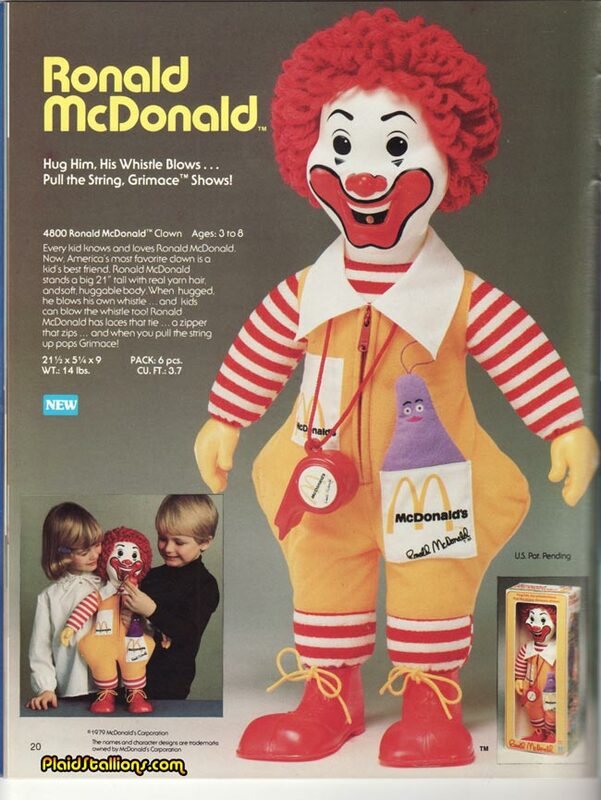 My own natural aversion to clowns wrestles with my innate nostalgia in a bitter battle to the death each time I see vintage McDonald's merchandise like this Hasbro Ronald McDonald doll. It reminds me of a happier time when I honestly wanted to visit the place and enjoyed their food with no worry of consequence. I miss my high functioning child metabolism, please come back. Every once in a while you find something that pretty much was a great idea that should never have gone away, this is one of them. 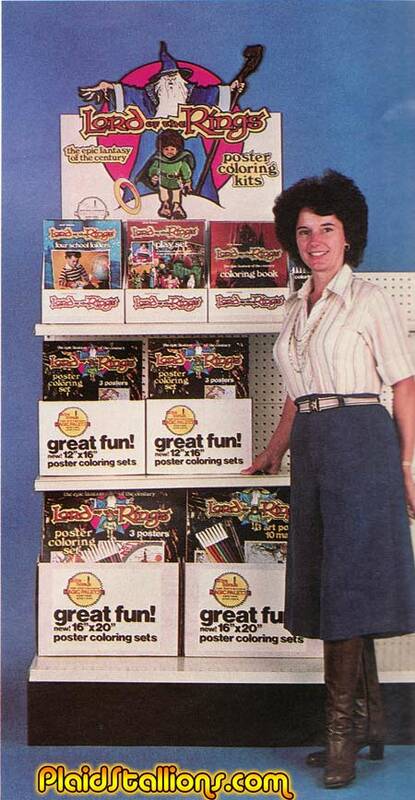 I have known weakness and affection for the superhero school supplies created by Alco in the mid 1970s. So I was overjoyed to find this recently at a toy show, a Batman slide rule that I had no idea existed. Now my mind races if Batman was the only character in the line of slide rules, seeing as Alco used characters like Shazam and Superman for other merchandise. Is there an Aquaman or Wonder Woman slide rule? Am I seriously contemplating collecting them all? Appearing this Saturday night at the rectory, an evening of laughter and total piousness. BYOC (Bring your own chair). Warning: the first three rows will get wet. Show begins at 6pm, ends at 11pm. No one will be admitted during the "Hosanna's on first" routine. 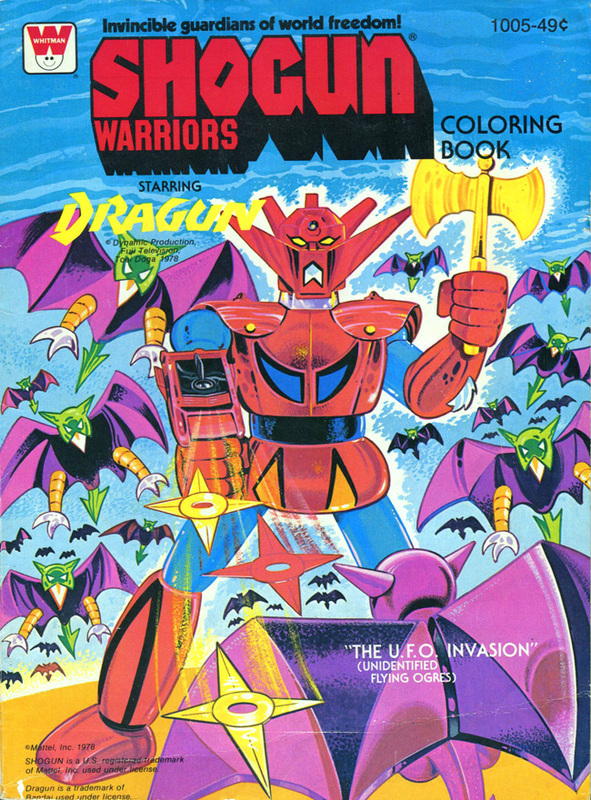 Mattel marketed their successful "Shogun Warriors" toy line not only in North America but to Europe as well. 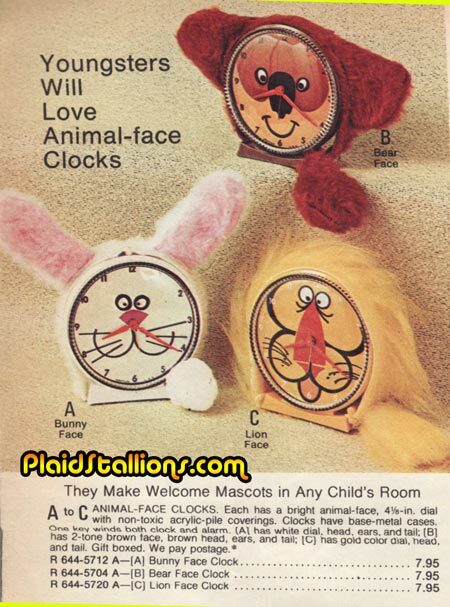 What's fun about all international toy lines in the 1970s were the things that were different or at times, additional. And the Italian Shogun Warriors line does not disappoint, while Godzilla is strangely absent, Goldrake a popular RAI TV cartoon character is now part of the action. 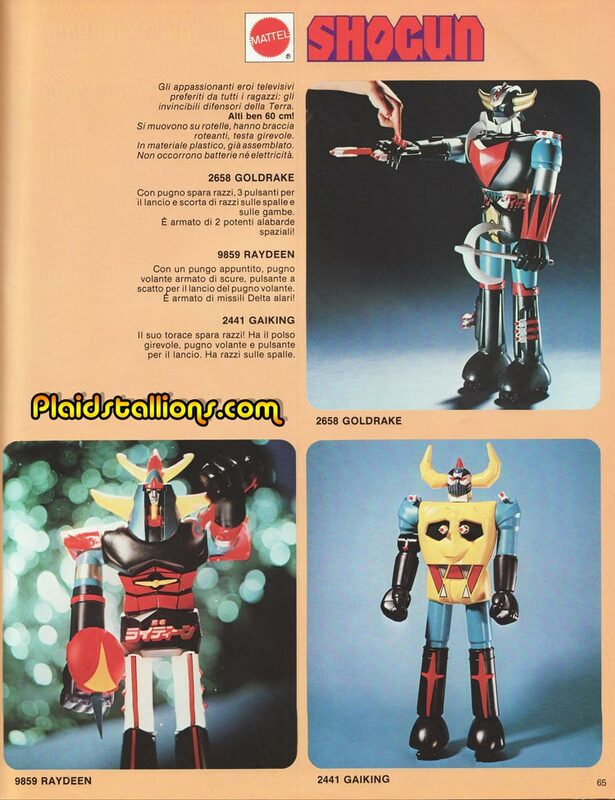 Check out the 1979 Shogun Warriors Italian Catalog here. 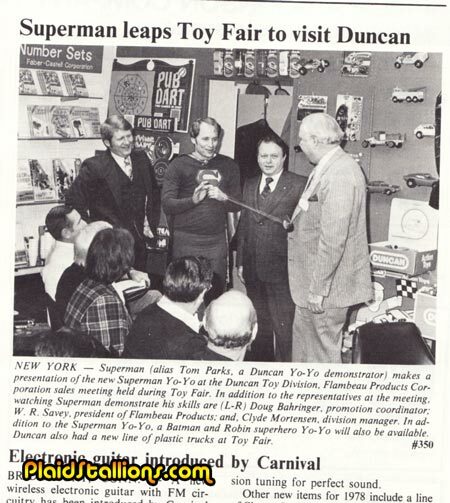 This 1976 Toyfair appearance by "Superman" to promote his upcoming Duncan yo-yo features possibly the most disappointing man of steel I've ever seen. 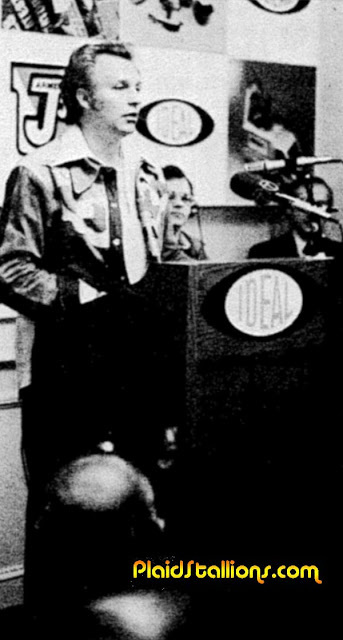 That guy looks like Ruben Kincaid, was Norman Fell dressed as Batman somewhere? "Can these two hotshots get along long enough to solve mysteries every week? Find out Mondays this fall on ABC!" In doing research for "Rack Toys" (which is almost there, I swear) I've had the pleasure of pouring through many old AHI catalogs and I've noticed several items I believe to have never been made but with AHI you never know. Case in point this remote control battery operated Star Trek "U.S.S. 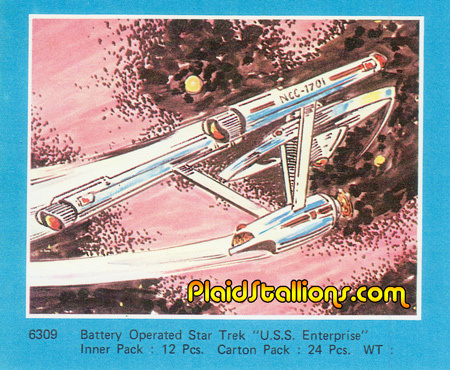 Enterprise" that is featured in the 1975 catalog along with the Superfriends buggy. A high dollar item for AHI, it's likely that it was merely dropped as they were also selling a TV advertised Enterprise toy under their Remco brand but seeing as the Superfriends buggy made it out there in extremely limited numbers, it is possible this saw production and is now near impossible to find. The lack of photography suggests this never got off the drawing board, the true fun of rack toys is never knowing for certain. This one takes place during my family's one memorable trip to Florida in 1977 (referenced already in this tale) and my first experience with feeling totally ripped off. It's an "I'm still kicking myself" experience and it's after the jump. 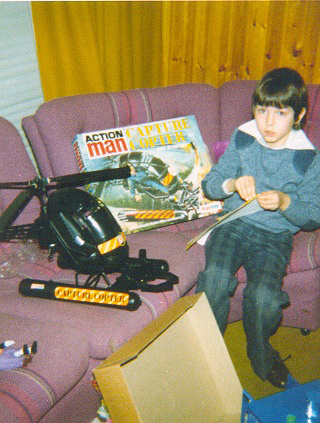 Nick sent in this great vintage shot of him putting the stickers on his Action Man Capture Copter on Christmas morning 1978 and if I may add, doing a far better job than me of putting the stickers on. 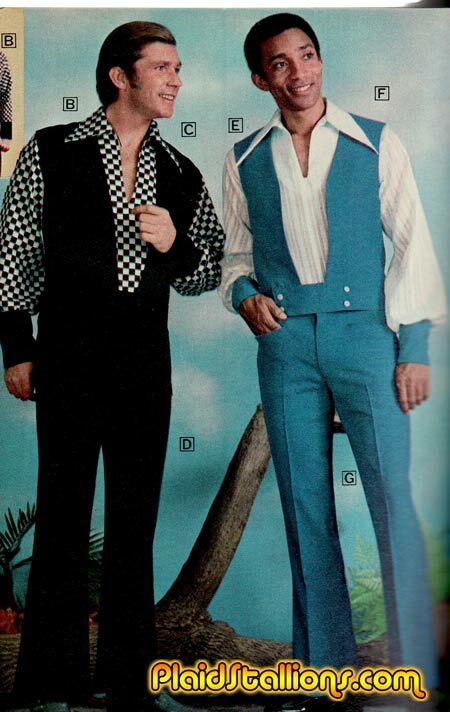 If you squint you can see a Mego/Palitoy Joker and Penguin right off the left. Nice stuff Nick! 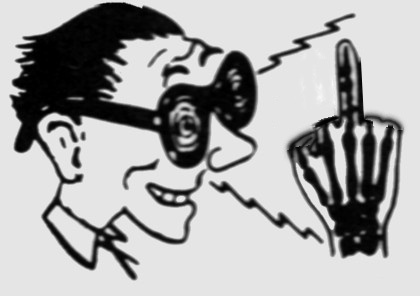 If you've got shots of vintage toy love, send em on down! 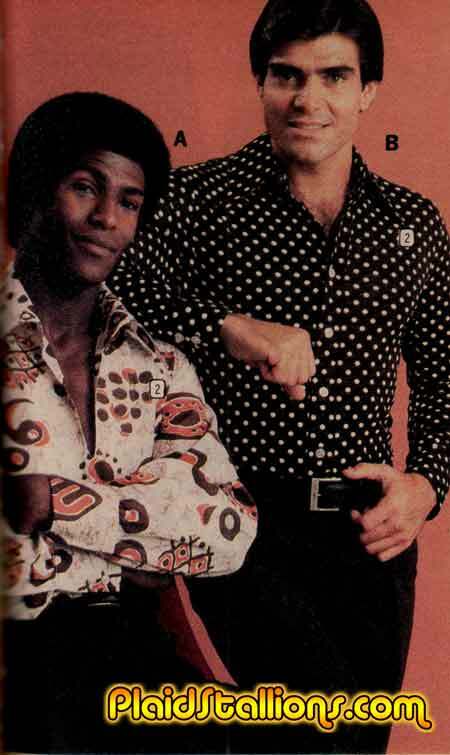 Some fun flash backs to the star-studded affair that was Toyfair 1976 that we're posting in conjunction with the MegoMuseum above one of TV's biggest celebrities; Lee Majors with (from left to right) Randolph Barton of Parker Brothers, Bernie Loomis of Kenner and Ted Betker of FunDimensions. 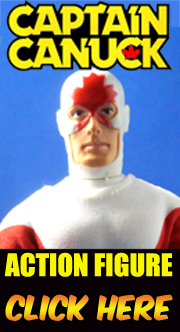 Want to see who else turned out for the Mego breakfast? Truck on down to the MegoMuseum for more star-watching! 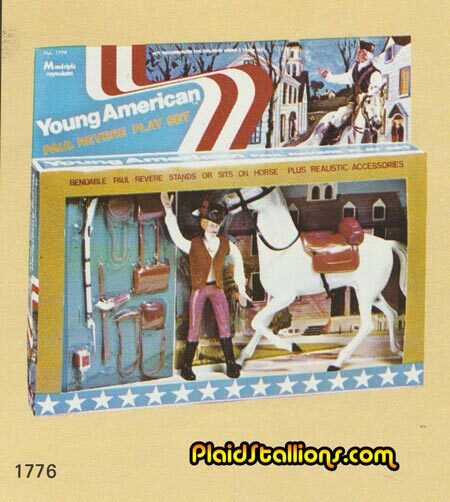 Just in case you forgot, the bicentennial happen during our lifetime (well I'm assuming you were alive in '76) and there was no end of merchandise like this multiple toy makers Paul Revere play set. 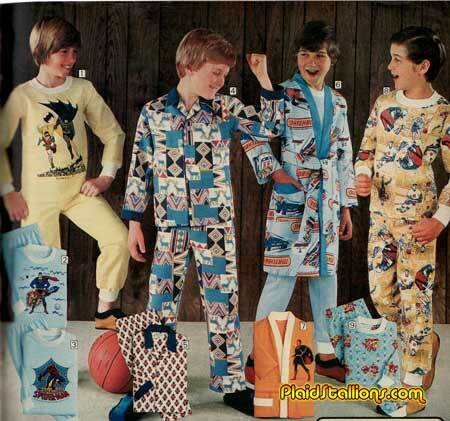 The superhero stuff is cool but I must admit I'm really amused at the Matchbox car robe.